Croeso i wefan Meddygfa Canna. Welcome to the webpage of Meddygfa Canna Surgery. Please note that the surgery will be closed for staff training from 1.00pm on Wednesday 10th April 2019. 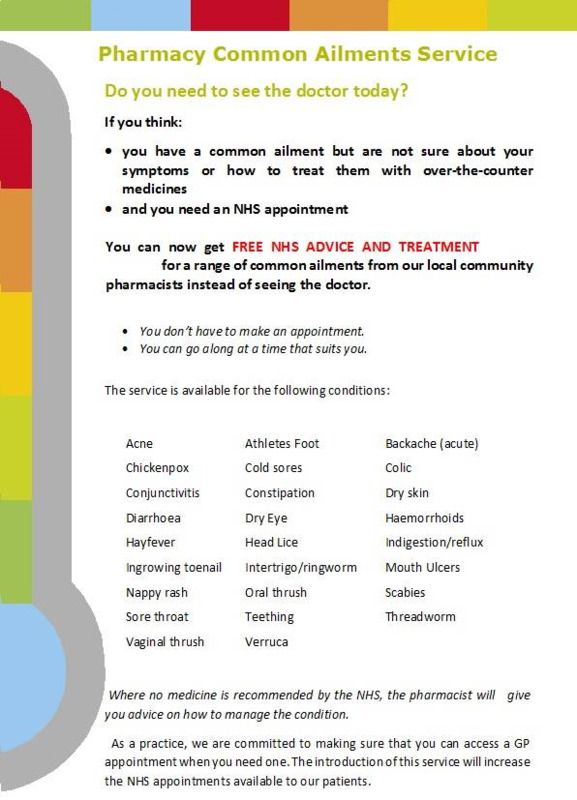 Community pharmacies can provide advice and medication for lots of minor problems. The GP out of hours service can be contacted on 02920 444500. Note that Ambulance and A&E services are for emergency life threatenting problems only and this should be taken into consideration when choosing these services. The GP Out Of Hours Services operates whilst surgeries are closed. This is for urgent care needs which cannot safely wait until GP practices re-open. The service can be contacted on 02920 444500. Accident and Emergency Departments and 999 ambulance services are for immediate life threatening conditions only. Under the General Data Protection Regulations, which come into force on 25th May 2018, the practice has a legal responsibility to let patients know how their personal information is processed. Dr Siwan Evans, after over 25 years of working with us here at Canna Surgery, has decided to take her retirement. We are sure you will join with us in thanking her for the outstanding work she has performed here, at Canna, in caring for the many patients she has seen over the years. We are also sure that you will want to join with us in wishing her a successful and happy retirement and we wish her well for the future. We wish to thank her for the excellent work she has done in that time and her commitment to patient care. She will be sorely missed by us and many of her patients. Dr Evans will retire from the practice on Friday 1st June 2018. Dr Steve Davies has recently joined us and will be taking on some of her workload. We would like to welcome him to the team and look forward to his presence here for many years to come. Canna surgery goes from strength to strength and we will continue to look to the future and build our reputation for excellence in health care. For general medical advice when the surgery is closed you can contact NHS Direct Wales on 0845 46 47. If you require a Doctor when the surgery is closed, please contact the GP Out of Hours Service on Cardiff 029 2044 4500. For routine matters such as appointment bookings etc please contact the surgery during opening hours. If you wish to order your repeat medication on line, you can do this by signing up to My Health On Line (MHOL). You can find the application form below - complete and return this to the surgery together with the required ID documents and Reception staff will register you for My Health On Line. The surgery is now able to provide patients the facility to book and cancel routine appointments and order repeat medication online using the My Health Online (MHOL) Portal. If you wish to take advantage of this service, please complete the application form below and return it in person to the surgery together with photographic identification. We would ask that you return the form and documents to Reception after 2.00pm daily as Reception is less busy at this time and the Reception staff will then register you to use the service and will provide you with details of how to log in. Note that you must create your own unique username and password at the registration stage AND enter the registration information provided to you on the welcome letter issued by Reception - see point 5 in in the MHOL User Guide in the link below. Please be aware, the original My Health Online website, www.myhealthonline-inps.wales.nhs.uk, is due to be switched off. All Welsh practices have been successfully migrated to the new website, www.myhealthonline-inps2.wales.nhs.uk, and the majority of patients have since logged in and migrated their online services accounts. However, once the old website is switched off, any patients that have not migrated their accounts will not be able to log in and will therefore have to register as new online services patients. Once you have your Username and Password, you can click on the link below to take you to the Login page. The practice ID is W97296. Contraceptive Coils and Implants (Known as LARCs - Long Active Reversible Contraception). The practice, in collaboration with Cardiff and Vale Univeristy Health Board has arrangements in place with another practice in the Locality to undertake insertion of contraceptive coils and implants to patients registered with Meddygfa Canna Surgery. This service is being provided on our behalf by Woodlands Medical Centre, Greenfarm Road, Ely, Cardiff. CF5 4RG. Telephone (02920) 599144, Fax (02920) 599204. 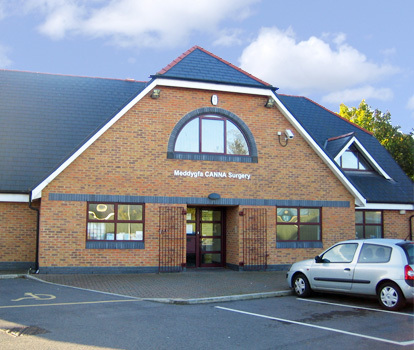 If you wish to have a contraceptive coil or implant fitted, you can self-refer to Woodlands Medical Centre without the need to see a GP or Nurse here at Meddygfa Canna Surgery. You just need to download the applicaiton form below, titled LARC Referral, complete it in full and send it to Woodlands Medical Centre at the address shown at the top of the form. They will then contact you to arrange an appointment. All follow-up and after-care for devices fitted at Woodlands is carried out by them also. Meddygfa Canna Surgery will continue to offer the contraceptive injection and the contraceptive pill and appointments for these can be made at our Reception. Below are links to various helplines for people wishing to find out more and get help with mental health, drug and alcohol and dementia issues. Mental Health Helpline - C.A.L.L. provides a free, 24 hour, 7 day a week, 365 days a year Wales-wide mental health telephone helpline service. Drug and Alcohol Helpline - DAN24/7 is a free, bilingual telephone helpline providing a point of contact for anyone in Wales wanting further information or help relating to drugs and/or alcohol. Dementia Helpline - Wales Dementia Helpline offers a free 24 hour, 7 day a week, 365 days a year support to anyone who is caring for someone with dementia, their families and friends and also provides support to those who have been diagnosed with dementia. The surgery has recently started sending appointment reminders and health promotion messages to patients by text message. Please ensure we have your up to date mobile number in order that we can send you a reminder about your appointment and/or health promotion information. Please ensure that we have your correct mobile telephone number. WANT TO GIVE UP SMOKING - we are committed to providing support and help to patients who are considering giving up smoking. Please ensure you order your repeat medication early. Appointments - When you call the surgery to make an appointment, the receptionist will ask you if you require a soon or a routine appointment. If you request a routine appointment you will be offered one with the next available doctor within the next 2 weeks. If you request a soon appointment you will be offered one with the next available doctor within the next 2-3 working days. If you have a problem which you consider to be an emergency then the receptionist will take your contact details and will ask for a brief description of the problem and will then arrange for a doctor to call you back to discuss the problem. Please ensure you give the receptionist the correct contact number and ensure you are able to take the doctor’s call. Once you have spoken to the doctor they will then schedule either an emergency, soon or routine appointment as appropriate. Please note that emergency same-day appointments will only be offered to patients once they have spoken to a doctor and the doctor has deemed that this is clinically appropriate. Pan fyddwch yn ffonio’r feddygfa i wneud apwyntiad, bydd y derbynnydd yn gofyn i chi os oes angen apwyntiad buan neu arferol arnoch. Os byddwch yn gofyn am apwyntiad arferol byddwch yn cael cynnig un gyda'r meddyg nesaf sydd ar gael o fewn y pythefnos nesaf. Os byddwch yn gofyn am apwyntiad buan byddwch yn cael cynnig un gyda'r meddyg nesaf sydd ar gael o fewn y 2-3 diwrnod gwaith nesaf. Os oes gennych broblem yr ydych yn ei ystyried yn argyfwng, yna bydd y derbynnydd yn cymryd eich manylion cyswllt a threfnu i feddyg eich ffonio'n ôl i drafod y broblem. Sicrhewch eich bod yn rhoi’r rhif cyswllt cywir i’r derbynnydd a sicrhewch eich bod yn gallu cymryd yr alwad gan y meddyg. Unwaith y byddwch wedi siarad â'r meddyg byddant yn trefnu naill ai apwyntiad argyfwng, buan neu arferol fel y bo'n briodol. Nodwch, os gwelwch yn dda, y bydd apwyntiadau argyfwng ar ddiwrnod y cais ond yn cael eu cynnig i gleifion ar ôl iddynt siarad â meddyg a’r meddyg yn ystyried ei fod yn glinigol addas. We are pleased to announce the opening of our on-site pharmacy. The Pharmacy is being operated by Rees and Moore who have relocated their business from Cowbridge Road to Meddygfa Canna Surgery.Pharmacy staff will be pleased to deal with all patients prescribing needs on site. We are based in the heart of Canton close to the centre of Cardiff. We are a friendly medium sized GP practice caring for 8000 patients registered with us who live in the Pontcanna, Canton, Riverside and Llandaff areas of Cardiff. We are committed to quality and high standards of personal service. We are an accredited practice providing training to future generations of general practitioners and medical students. Rydym wedi ein lleoli yn Nhreganna yn agos i ganol Caerdydd.Mae gennym tua 7500 o gleifion yn byw yn ardaloedd Pontcanna, Treganna a Llandaf. Rydym wedi ein hawdurdodi i hyfforddi Meddygon Teulu a myfyrwyr meddygol. Dyma wybodaeth am oriau agor y feddygfa a beth i wneud pan fod y feddygfa ar gau. Medrwch wneud cais am ail brescriptiwn dros y we drwy lenwi ffurflen ar lein. There are certain circumstances in which the practice needs to contact patients at short notice. This could be to discuss a particular result or to confirm or re-schedule a booked appointment. It is therefore important that we hold up-to-date information. Would you please let us know if any of your personal details change, ie change of address, new mobile or home telephone number. Having this informaiton to hand will enable us to contact you if necessary. You can complete a change of details form at Reception. Weithiau byddwn angen cysylltu a chi ar fyr rybydd.Os bydd newid yn eich enw,cyfeiriad neu rhif ffon ar unrhyw adeg a wnewch chi ddweud wrthym os gwelwch yn da er mwyn sicrhau fod eich manylion yn gywir a'n galluogi i gysylltu a chi os bydd angen. Gallwch wneud hyn drwy wasgu'r botwm ar waelod y dudalen hon. Like To Register? / Hoffech chi ymuno a'r feddygfa? New to the area and would like to join our practice? We would be happy to help you. We only accept patients who reside within the areas referred to above. If you are unsure if your address falls within our boundary, please contact reception. You can download a copy of our practice Information Booklet (in PDF format) by clicking on the following link - Practice Booklet. (Please note the above changes to our appointment system which is not reflected in this issue of our practice booklet). Os ydych newydd symud i'r ardal ac eisiau ymuno a'n practis byddwn yn hapus i'ch cynorthwyo.Rydym ond yn derbyn cleifion sydd yn byw of fewn ffiniau'r practis.Gallwch lawr lwytho llawlyfr y feddygfa drwy glicio ar y linc yma - Llawlyr y Feddygfa (Sylwer ar ynewidiadau uchodi'nsystem apwyntiadaunad yw'n cael eiadlewyrchu yny rhifyn hwn o'nllyfrynymarfer). The practice is unable to treat patients who move outside our operating area. Should you move home, you should advise us accordingly. We can then provide you with information on how to register with a practice in your new area. You can use the 'Change of Address' form at the bottom of this page to send us your new address electronically or call in to reception and complete the Change of Address form. Nid ydym yn medru trin cleifion sy'n byw tu allan i ardal y practis.Os byddwch yn newid cyfeiriad a symud i ardal newydd dylech roi gwybod i ni.Gallwn eich cynghori ar sut i ymuno gyda practis yn eich ardal newydd.